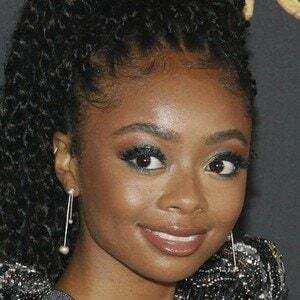 Actress who became known for her starring role as Zuri Ross in Disney's TV series Jessie. She reprised the role on the spinoff Bunk'd. She also portrayed Kicking Girl in The Smurfs and appeared in 2009's The Rebound. She appeared in Band-Aid commercials and other national commercials as a child, and played a role in the 2007 independent film Liberty Kid. She appeared in an episode of Boardwalk Empire on HBO in 2011. From 2011 to 2013, she voiced the character Little Fish on the animated series Bubble Guppies. She was raised in New York City and has a sister and a brother. After her parents divorced, she stayed with her mother, Kiya Cole. She co-starred with Peyton Roi List in the 2011 family comedy series Jessie.